Named for their amazing acrobatic skills, this energetic dolphin is noted for its ability to leap out of the water, rotating itself several time along the axis of its body before returning to the water. This entertaining and playful nature of the Spinner Dolphin has earned it not only its name but it popularity around the world. 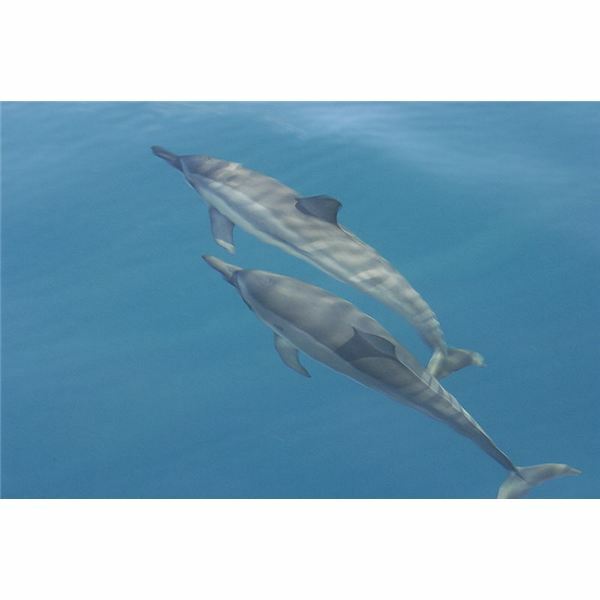 There are four subspecies of Spinner Dolphins that can range a bit in size and appearance including the Hawaiian Spinner Dolphin, the Eastern Spinner Dolphin, the Dwarf Spinner Dolphins, and the Costa Rican Spinner Dolphin. 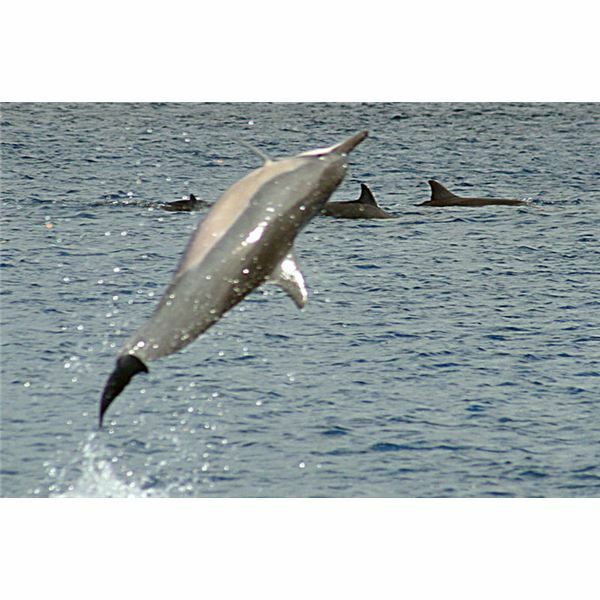 The most common of the spinners, the Hawaiian Spinner Dolphin also known as Gray’s or the Long Snouted Spinner Dolphin, are bit on the smaller side for than some other dolphins and can range in length from around 5 ½ to 7 feet, weighing anywhere from 135 to 200 pounds. Most have the distinctive long, thing beak and slender bodies. Their coloring is a mix of gray and light gray with a white underbelly which helps them to blend into the water well. Their flippers are somewhat smaller, with rather pointed ends. Spinner Dolphins are found in the tropical waters around Hawaii and scattered between the regions of the Tropic of Cancer and the Tropic of Capricorn. The Spinner Dolphins are nocturnal hunters, meaning they prefer to hunt and feed at night. They diet consists primarily of marine life that rises to the surface as night falls including a variety of fish, krill, and microscopic plant material among other types of small marine life. Like most dolphins, the use of echolocation and “clicks” are used to help the spinners communicate with others and to navigate the waters around them. Although a lot of speculation exists concerning their unique spinning behavior including the idea that it may in someway be linked to communication, the reason for this behavior is yet unknown. They are considered to be rather friendly and playful as many other dolphins are. has put the spinners in particular danger from fishermen who use the dolphins as a means of locating the fish, then cast large nets out which entangle both the fish and the dolphins. Due to the fishing industry, the numbers of Spinner Dolphins has dramatically decreased to the point that accurate data regarding their remaining numbers is not available.